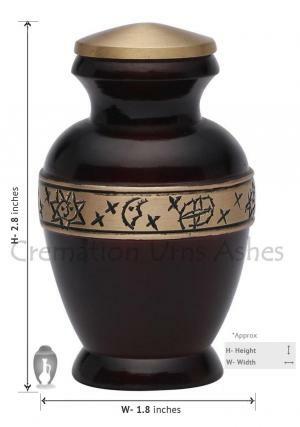 Cheapest Small Classic Gold Band Maroon Keepsake Cremation Urn for Ashes UK. 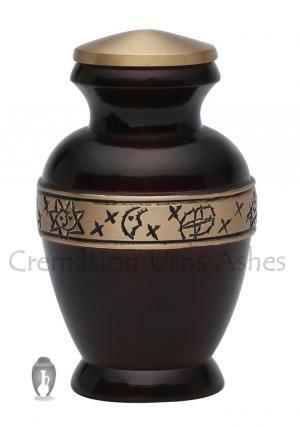 Small maroon keepsake urn for ashes is made of brass metal with a glittering maroon finish on the top. Mini cremation urn is engraved in vase with a brass band around the urn which is designed in solar structure on the brass finished in gold. The design on the urn has memories of loved being alone watching to you from the sky. This beast suits to store cremation ashes of child. Mini classic gold band maroon keepsake urn for ashes has beautiful presence with the bold color on the urn. The lid of mini memorial urn is coated with gold on brass finish and the perfection in making the urn by skilled artisans. 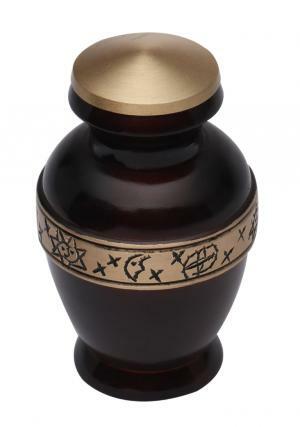 Funeral urn will be a present to show your respect and love towards the demise by preserving ashes in the keepsake urn. 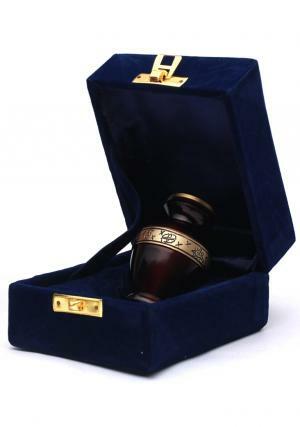 The secured threaded lid on the top acts as insertion of ashes into mini keepsake urn which weighs around 0.13 KG, capable of carrying 3 cubic inches of ashes and measured 2.8 inches tall. 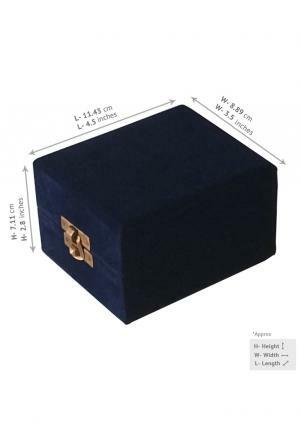 Mini memorial container urn is delivered with a free velvet box and no shipping charges within UK.